One of the most important required elements of the system when we began development was that it had to be easy and intuitive to use. 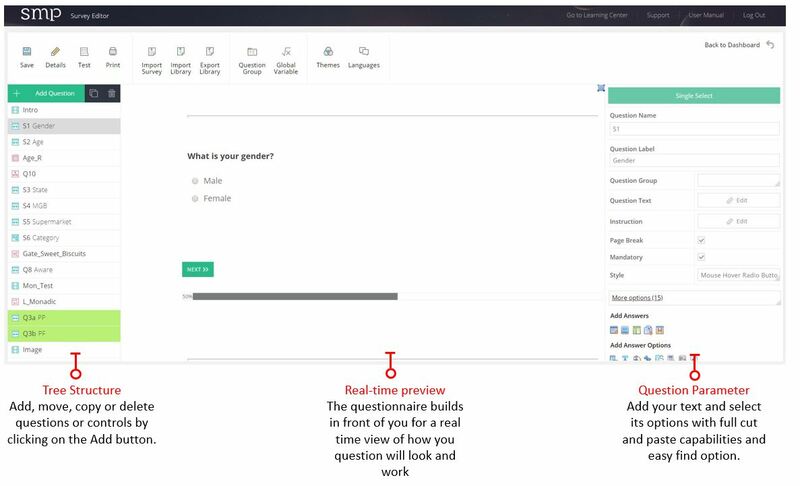 We believe that the virtual WYSIWYG system in the Question Editor enables a user to learn the system with great speed and to be developing surveys in a matter of minutes. 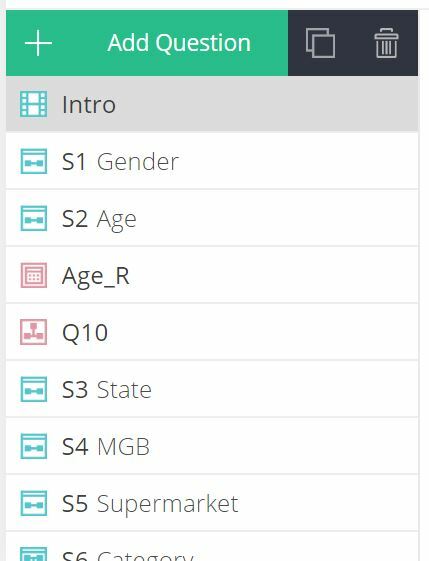 The Survey Editor has three panes that you use to create your surveys. The image below describes the purpose of each of the panes. The left hand pane is where you build your survey in an hierarchical tree structure. You can add, delete, or copy your questions and controls here and achieve an easy to follow survey flow, with the controls such as skips, pipes and quotas located at the location in the survey that you want them to take effect. In the example below there are two questions – Gender and Age, then a Quota called Sex_Age followed by two more questions – Location and Category Rating, then a ‘Skip Rule’ called Poor Rating, a Notifty control and then Q5. The G_Poor_Rating skip rule tests if a respondent answered Q4 as Poor or Very Poor and sends the system to the Notify question type if True. If False the respondent is taken to Q5. 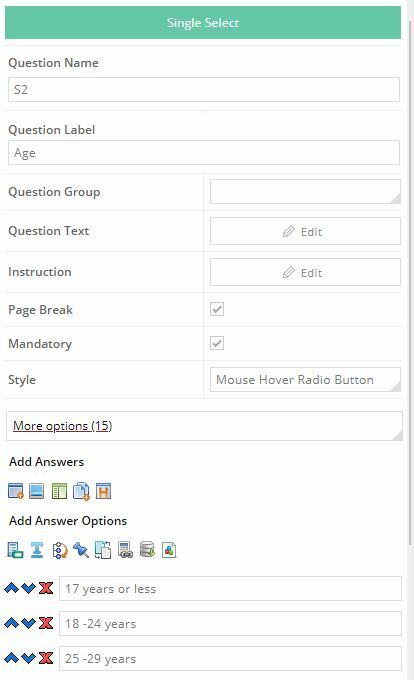 The right hand pane is where you add the details of each of your question and controls by adding text, formatting rules and many other features specific to that question or control. The example below is used to create the question Age. The center pane shows the result of completing the inputs in the right hand pane as they are entered. It is a working example of your question. In this way SMP is fast to learn as you see what you have created instantly and as it will appear to your target respondent.